John B. Sanfilippo & Son, Inc. (JBSS) is a publicly traded corporation located in Elgin, Illinois. 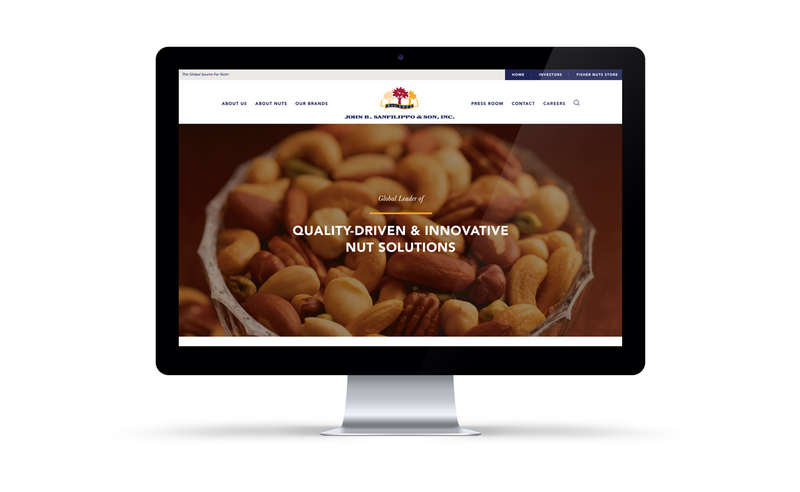 As the dominant processor, packager, marketer, and distributor of nut and dried fruit based products their market presence is realized on a global platform. 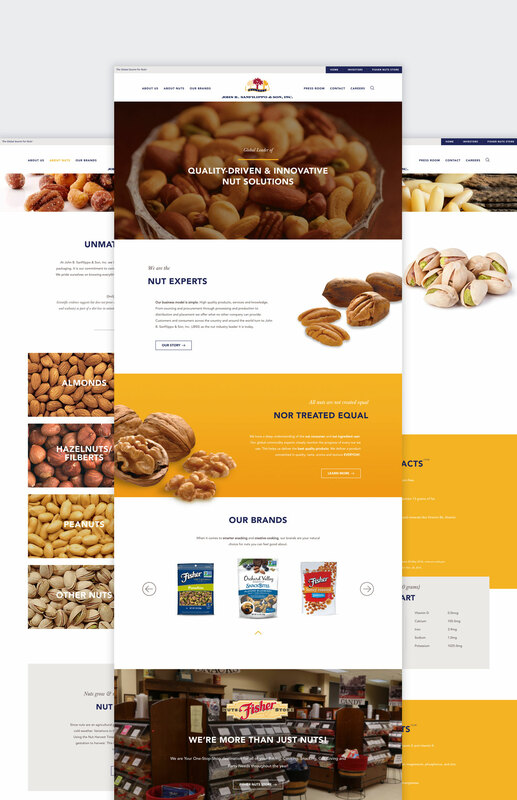 Their products are sold under a variety of brands like Fisher Nuts, Orchard Valley Harvest, and Sunshine Country. Our challenge was to create a new and fresh corporate parent website that would replace their older website and create a trustworthy user experience that built upon the existing brand. 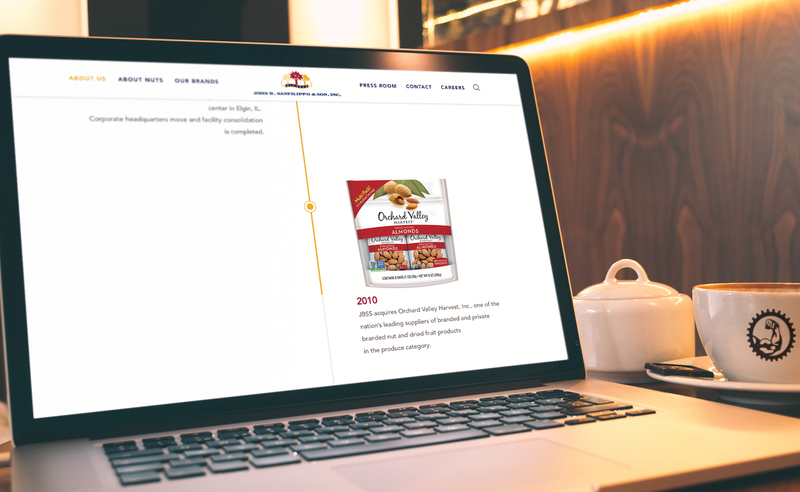 The goal for the website was to bring the look and feel of the JBSS brand to the web while creating an informative and easy to navigate site. 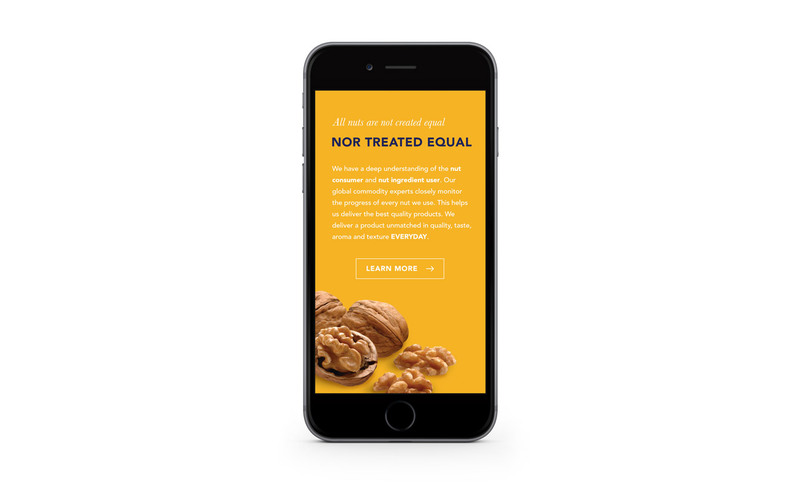 To make the content easier to digest, we simplified copy and focused on type pairings that make reading on the web much easier, and used large beautiful photos to engage the user and enhance the experience. The overall aesthetic was meant to convey a sense of tradition while inspiring trust. The end result showcases their wide range of products, along with providing valuable investor information and adherence to regulatory compliance guidelines. Like what you see? Let’s chat.